Take turns downing GeoBots with your friends! GeoBots VR is a virtual reality experience that takes you through a factory swarming with GeoBots! Your goal is to shoot them down as fast as possible! You'll get points for shooting down multiple bots in quick succession, as well as bonus points based on how long you have stayed alive! Be aware though, as time progresses, bots will hurt more! Earn Cogs in game to spend on new bot designs and weapons! Our next update will include a whole new story mode and new bots, weapons, and dangers! 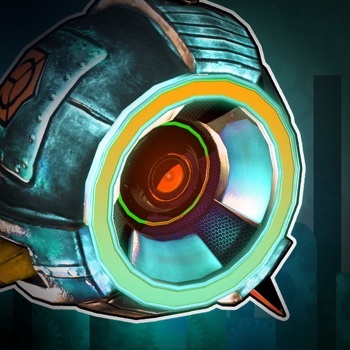 Using your Google Cardboard compatible device, take aim at the GeoBots and use your gaze to shoot them down! If you don't have a Google Cardboard device, you can also play in normal widescreen mode.